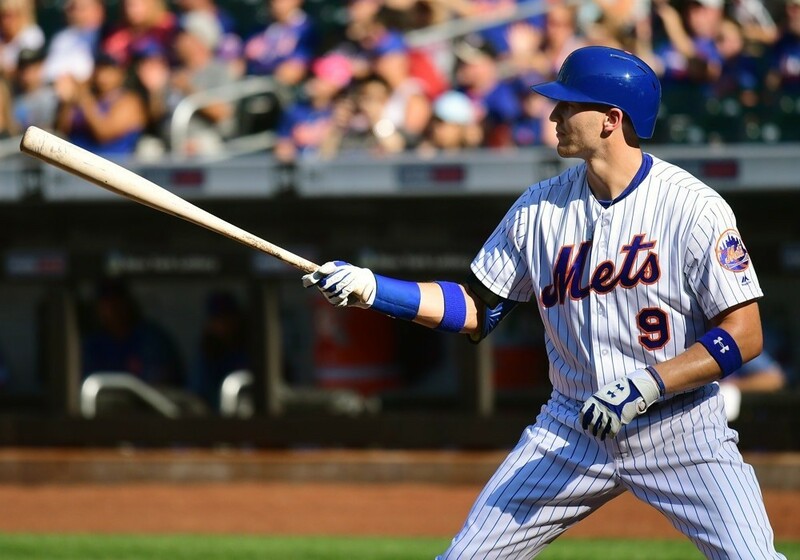 Reality Check: Is Brandon Nimmo A Top 20 Outfielder? 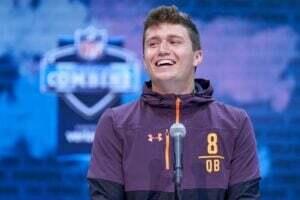 Welcome to the first edition of my offseason Reality Check series! Throughout these blustery months, join me in trying to keep warm with glorious player analysis and gin. Perhaps just the player analysis for some of you. I won’t judge. In any case, we’ll be looking at some of 2018’s biggest outliers. We’ll do some deep diving to determine how much of their results are to be believed. Those prepared to draft these players could be in for – wait for it – a reality check. Yeah, I did it. Let’s move on and pretend that never happened. Let’s kick things off with one of my favorite 2018 breakouts, Brandon Nimmo. I swear a solemn vow not to make any terrible puns with his name. You’re welcome. 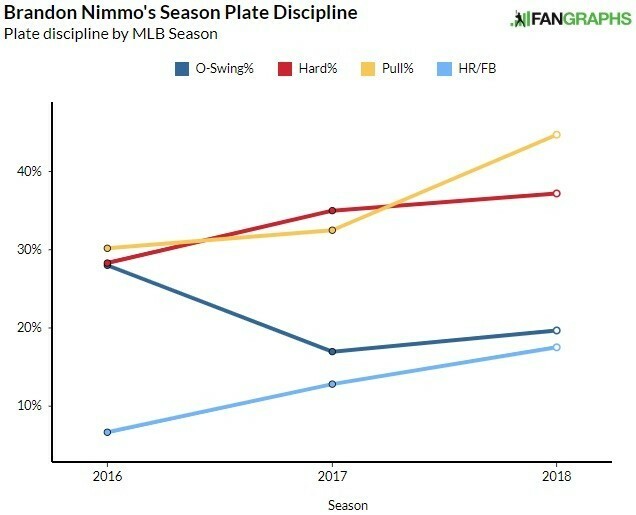 Nimmo came into the season well under my radar, having shown very little power or speed throughout his days in the minors. Even his batting averages I considered a bit inflated, having spent his days in the offense-boosting Pacific Coast League. Ho-hum. Nimmo punished me for my pessimistic words like my high school basketball coach used to punish me for turnovers. I had to do 10 burpees for every extra base hit, which turned out to be 53. That’s 28 doubles, 8 triples, and 17 home runs. The eight triples tied him for sixth in baseball, which is some sneaky points league value. By the way, I didn’t really do 530 burpees. That seems like a lot of work. One thing I really like in a hitter is the ability to draw a walk. Brandon Nimmo is a man who can draw a walk. His 15% walk rate was good for ninth in MLB among qualified hitters. It’s a skill backed up by his minor league career, as well as his 69 games from 2017. He has an impeccable ability to lay off bad pitches, evidenced by his 19.7% O-swing% that was the third-best mark in baseball (Joey Votto, Andrew McCutchen). He even improved his plate discipline as the season wore on. That second half walk rate was second in baseball, trailing only some guy named Mike Trout. His 0.9 BB/K was tied for eighth best in the league as well. It’s no wonder he posted a ridiculous .446 OBP in the second half, scoring 29 runs over 54 games. It helped, I guess, that he led the league in hit-by-pitches with 22 over the full season. HBP’s are weirdly considered a skill, although it’s a skill I’d liken to working an eight-hour shift with your shoes secretly filled with soup. It’s impressive to do, but no one really notices. He was also able to boost his power in a big way, with a .219 ISO much higher than his .158 mark from 2017. He did this by accomplishing a few things. Nimmo’s aforementioned ability to lay off bad pitches feeds into his propensity to punish pitches in the zone. When he did, he pulled the ball a lot more in 2018, increasing his hard contact and his HR/FB rate. He even managed to do all this while trimming 1.7% off his K% from 2017, although he sacrificed some contact ability along the way. While this newfound power helps launch him into mixed league relevance, it’s not going to be a true plus for his profile without putting more balls into the air. His first half FB% was 40.8%, but over the second half, that number fell to just 23%. He traded the fly balls for a scorching 26.2% line drive rate, which helped him to a .373 BABIP but limited him to four homers. Part of the overall success of Brandon Nimmo is his improvement against the breaking ball. Here’s a look at his improvements, powered by Statcast. While he actually hit for a .399 wOBA against breaking pitches, his xwOBA says he overperformed a bit. Let’s not crown him the King of the Curveball just yet. One can attribute a lot of these gains (as well as his HBP prowess) to a move closer to the plate to compensate for a hole in his swing. Speaking of expected stats though, his XBA from 2018 is just .231, suggesting his .263 average was fueled by a .351 BABIP that is unsustainable. I’m not sure I fully agree with that. With above average speed, above average hard contact, a low fly ball rate, and a pop-up rate that almost vanished over the second half, I think he can post a BABIP north of .315 with relative ease. That still makes Brandon Nimmo more of a .250 hitter though, which is a bummer in standard leagues. His value avoids this knock in OBP and points formats. He can also swipe a few bags, although he’s certainly no burner. He was 9-15 in stolen base attempts last season, a number he can repeat with a full season in the leadoff spot. I’d expect a healthy run scored total with a lackluster RBI count, an issue every leadoff hitter contends with. I’m leaving this evaluation actually a bit less optimistic than I was coming into it. If he increases his launch angle and sells out for power, he’ll tank his batting average. If he doesn’t, he’ll be lucky to hit 20 home runs. The overall package is a useful one, but it’s unlikely Brandon Nimmo vaults into top 20 outfielder status without further trimming the strikeouts and showing the ability to hit for average. Nathan Dokken is a member of the FSWA and has been featured on numerous radio shows, podcasts, and magazines. 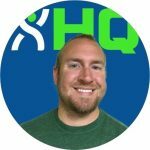 He is the host of the Nasty Cast and Fantrax Dynasty Baseball podcasts, and his written work can be found at Razzball and Fantrax HQ. He is on Twitter @NathanDokken. If you enjoyed this article please check out his full archive. I know this is a bit late to the party but this article is missing a very significant piece of information. Nimmo got hit in the hand with a pitch late in june and it bothered him the rest of the season before he went on the DL in late August. Most of that power outage in the second half was just injury related. He went on the DL in August because he got hit in the hand another time. I worry that will be an issue for him since he crowds the plate so much and piles up HBP’s. It’s impossible to know how much the June pinky injury from June affected the rest of his season, but it is worth considering.